We had a request for an air powered submersible pump for pumping sludge with an expected discharge head of a minimum of 77 metres and a maximum of 97 metres. The pump could be no bigger that 60cm wide due to the size of the opening of the tank. The flow rate was to be as high as possible. The solution was an ARO P35A3-EU. 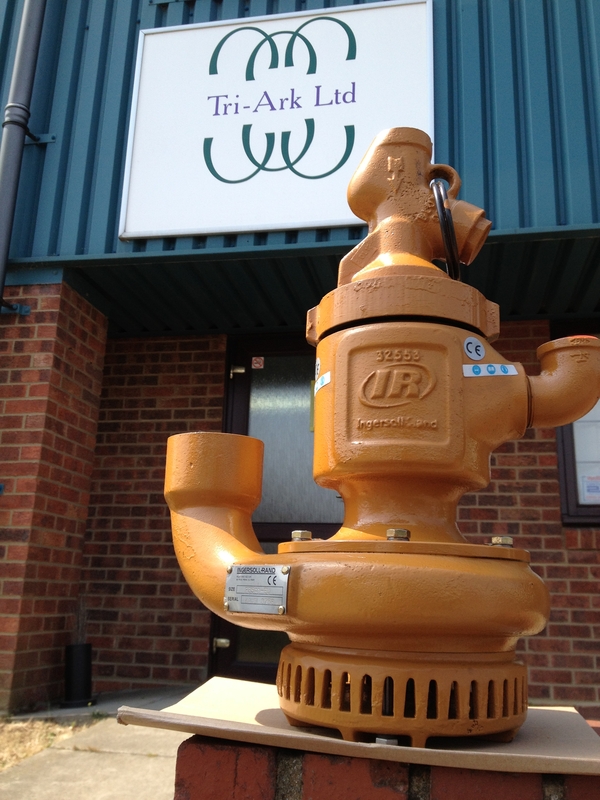 This pump is 2″ BSP, but is available with NPT threads too. The pump is cast iron. These pumps are fully submersible and self-priming. They can handle debris such as twigs and leaves. This pump has a closed-type impeller promoting greater efficiency when pumping against high heads. The perfect solution for this application! Do you have a need for such a pump? Please let us know if you would like the literature emailed over to you. 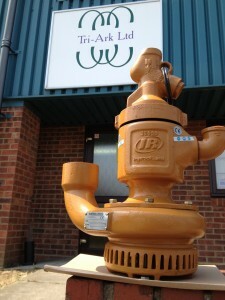 Please call us on 01621 781144 or email us at sales@tri-ark.com for help with your pumping requirements. We look forward to hearing from you soon.